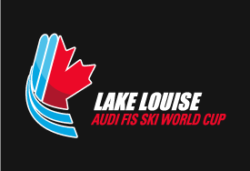 The Lake Louise Audi FIS Ski World Cup is one of the select few on the World Cup circuit to hold both the men’s and ladies’ speed events. It also happens to be the first downhill and super-G races for the ladies this season. The fastest ski racers in the world return to Lake Louise eager to compete against the mountain, the clock and themselves. The Lake Louise Audi FIS Ski World Cup is notorious for its epic early season snow, the proximity fans have with the athletes and the intimacy of the hamlet of Lake Louise, nestled pristinely in Banff National Park. Fans from across the globe will watch as these athletes take every risk to achieve the ultimate goal. Standing on the podium means dropping 800 vertical metres downhill at speeds up to 120 km/h on a three kilometre track in just about a minute and a half. Just as gritty is watching these athletes navigate the gates of a super-G as they do everything they can to keep their skis against the snow and carve through the ice. Fast and exciting, yes.